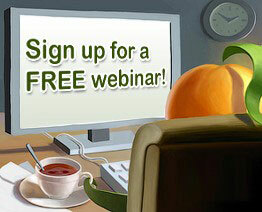 This month we’ve gathered information on 22+ free non-profit webinars. There are webinars to help you with mobile marketing; writing press releases; improving your email marketing; multi-channel fundraising; writing volunteer job descriptions; and much more! So have a good look through the list of webinars below and pass it along to others in your organization. You will also have an opportunity to ask questions and see first-hand how Wild Apricot can help you manage the "boring stuff" and get on with the real work of your organization. Today public relations can be affected not only by the people you know, but also by the intelligence of search engines and social media. In order for PR professionals to be successful, they need to think as writers, marketers, SEO experts and business development strategists. Whew! That's a lot to consider. A good position description can make the recruitment and placement of volunteers so much easier, but this foundation component of a program is often overlooked or put into a folder and never used. This webinar will start with the basics of what should be included in a position description and will help you create or update position descriptions for all of your volunteer opportunities. Learn how accurate and up-to-date position descriptions can help you recruit and train volunteers, and how they can help with retention and the development of leadership positions within your volunteer engagement program. This VolunteerMatch webinar will include templates and sample position descriptions. Examples of how nonprofits are tweaking their Facebook and Twitter interactions to increase engagement. Are You Ready for a Major Gift Campaign? New to volunteer management? Looking for a refresher on the basics? This VolunteerMatch webinar will walk you through the three primary Rs - recruitment, retention and recognition. We'll discuss the most popular program components such as interviews, orientations, volunteer handbooks, and more. And, we'll talk about the importance of managing risk for your program and your organization. All attendees will also receive a sample packet with examples of program documents and program assessment checklists to help you evaluate your existing program. What do you do when it's time to ask a volunteer to leave your organization? This VolunteerMatch webinar will give you the tools to address challenges around difficult volunteers, volunteers aging in place, and suggestions to minimize these situations in the future. Suggestions for determining when a volunteer should be terminated, and making it easier on you, other volunteers, and staff will be presented. And, the role that risk management plays in these decisions will also be included. "Non-fans" can now comment on your Page etc. Your key staff can choose to allow Facebook users to subscribe to content on their profile. Facebook Insights now reports data on "Reach", "Virality" and other granular data on how users engage with your Page. Facebook admins no longer have the ability to message fans, or use the discussions tab. A question and answer session will be conducted on the CharityHowTo Facebook wall. maximize your social presence in email with icons, social media links, etc. Your website is your calling card; it can make or break a sale. And you don’t have to spend a lot of money to have one that makes the sale. You do have to be smart about how you present yourself and your company. Great home pages are designed strategically so your customer has a good first impression of you and can easily move from just browsing to ca-ching! Find out what you’re doing right and what you can improve in this Ventureneer webinar. What’s a Mission Statement Worth? Why it’s worth editing your mission statement. What’s in a good mission statement, and what’s not. How a good mission statement can guide strategic decisions. How to measure your performance against your mission statement, and why that’s valuable. What is Social/ Friend-to-Friend Fundraising? Engaging email newsletters raise awareness, strengthen your relationships, and help achieve your mission. Are yours doing that? In this Constant Contact webinar, you can questions, hear your peers, and see for yourself how to get the most out of your newsletters. Discover the keys to an engaging newsletter and why online is essential. With more than $40 billion in grant money given away each year in the U.S. by private foundations alone, you know that there’s competition for those dollars. But how can you make YOUR organization stand out from the crowd and make that grant funder want to fund YOU? What can you do to find favor with grant funders and how do you even make them notice you – much less fund you? Your proposal is normally the first impression a grant funder has of your organization. Learn how to make the best impression you can so that funders will sit up and take notice. This is finally your opportunity to learn valuable tactics that will take your grant proposals from so-so to great in this CharityHowTo webinar. Nonprofits are increasingly turning outside to discover and spread insight about their programs, target markets, science, and processes. A powerful organizational model to do this is the knowledge network (also called community of practice). The knowledge network rides less on formal partnerships, markets or hierarchies and more on powerful social ties to drive collaborative innovation and learning. Not all knowledge networks are created alike, but there are some success factors that are universal, such as agile leadership, real-time meetings, effective use of technology, and clear mission and measurement. This Nonprofit Webinars session, led by Kate Pugh (author of Sharing Hidden Know-How) will look at ten years of research and practice on knowledge networks, as well as some highlights from a 2011 grant from the Bill and Melinda Gates Foundation. Do you have a webinar for next month’s Round-up? If your organization offers a free webinar that would be of interest to non-profit, membership or volunteer-based organizations and you want to include it in next month's post, please email an overview (like those above) to lori@wildapricot.com no later than December 15th. And, as always, if you know of a free webinar that we've missed for this month -- please share the details in the comments section below - but please provide only a brief overview! Thanks Mazarine - I'll add it to the December list which we'll publish around the third week of November.